Diamond Head By Cecily Wong. Are we fated to experience what we do or do we choose what we do? That’s the question at the heart of the gorgeous novel Diamond Head. Author Cecily Wong’s debut novel takes you from China to Hawaii to document a family’s rise to power in Hawaii. At the turn of the 20th century, wealthy shipping industrialist Frank Leong relocates his family from China to the Hawaiian island of Oahu. 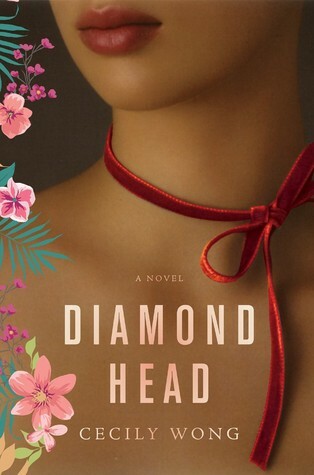 Diamond Head mixes triumphs and tragedy in a multigenerational Chinese family that moves to Hawaii. In China, there’s a fable that a red string connects you to your destined partner, your perfect match. The fated red string can also be destructive and prevent happiness by knotting and twisting and hurt future generations. Sometimes the red string isn’t someone’s destiny. It’s not a good match. Diamond Head illuminates Chinese mysticism as well as individuality and contentment that we all seek. When they start having difficulties with their son Bohai in China, Lin thinks: “As days passed and my son remained unchanged, I felt my failure swell and multiply. There was a voice, one I had silenced for many years, that now whispered to me at all times of the day. You are unworthy of this life, it said. It was all a mistake.” Destruction of family and business and bonds and healing that allow one to move forward. There’s plenty of detail and sense of place for the flow back and forth in time to work. Wong constructs place beautifully writing about the scenery and political battles for the Chinese (The Boxer Rebellion) and then the immigrant experience in Hawaii. Filled with page-turning secrets, deception and the genuine price of power and the risks of privilege. If you like Amy Tam and Lisa See this is the type of novel for you with deep layers and a complex familial story and a dark secret that might ruin everything this family built. This entry was posted on June 5, 2015, 01:31 and is filed under Books. You can follow any responses to this entry through RSS 2.0. Both comments and pings are currently closed.